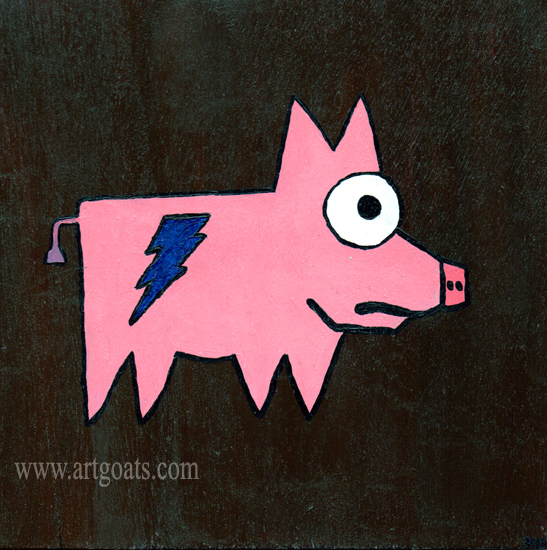 Here is a nice Indie Rock Pig showboating his fresh lightning bolt ink. Original painting 8″x8″ wood. Ready to hang.